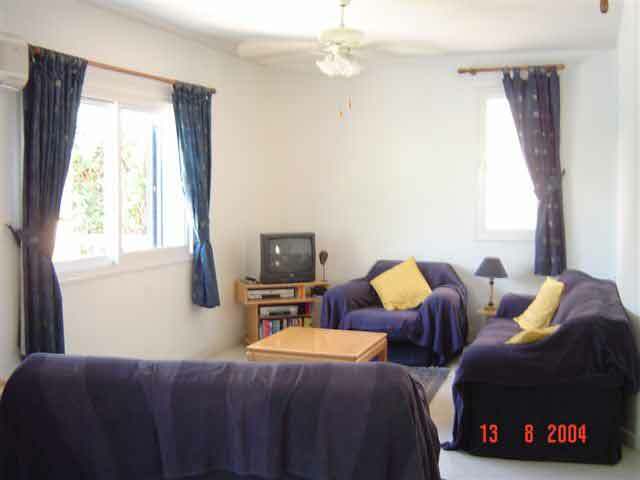 This 3 bedroom villa with 2 bath/shower rooms sleeps up to 9 persons and is fully air-conditioned. The lounge leads through to a secluded patio and garden with barbeque and sun loungers. There is a large communal swimming pool and childrens paddling pool set within a mature landscaped garden. It is a level walk to supermarkets, banks, shops, the beach, restaurants, bars and other attractions and therefore Car Hire is not essential, although there is off street parking. The lounge is spacious with a bed settee, settee and chair, T.V., Video, D.V.D. and Music System with a selection of dvds cds and videos. 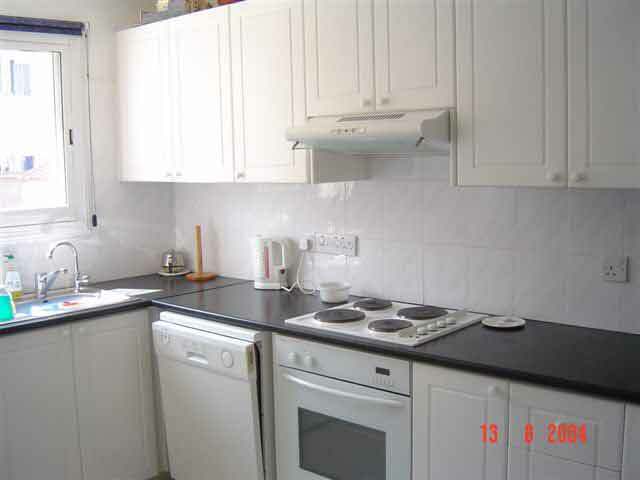 Kitchen facilities include, washing machine, dishwasher, fridge freezer, microwave and cooker. The villa also has an extra bed, travel cot and high chair. Maid service is included for stays of 2 weeks or more and a welcome pack can be provided if required.